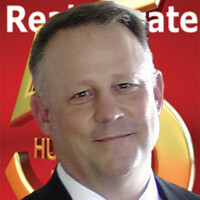 We have received your request for a home valuation. My office will be in touch to schedule a time for us to preview your home for our report. We will need about 15 minutes of your time to walk us through your home to show us the improvements you have made, and anything that you feel will impact the value of your home for prospective buyers. Also, in order to make sure we only send this to you, we have sent you a confirmation link to the email address you provided. Please ensure that you click on that link to confirm it is really you to whom we are sending information.